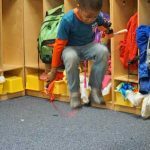 A child in a classroom wants to be the same as everyone else even when it comes to jumping rope. 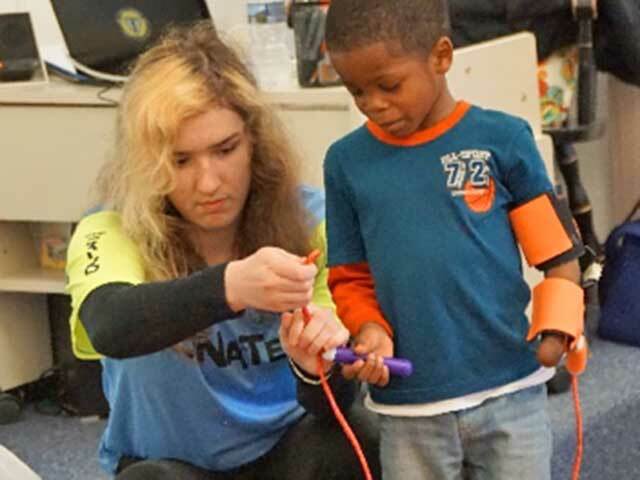 One student at Tatnall School wanted to jump rope – just like everyone else – only this student has a congenital amputation preventing him from using a conventional jump rope. 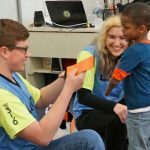 The LuNaTeCs, South Jersey Robotics team 316, were presented with a request to build an adaptive device for a young child with a disability who just wanted to join his classmates in jumping rope. Not a daunting task for the LuNaTeCs; after all they build a 120 pound robot every year for competition and this team has received similar requests in the past. 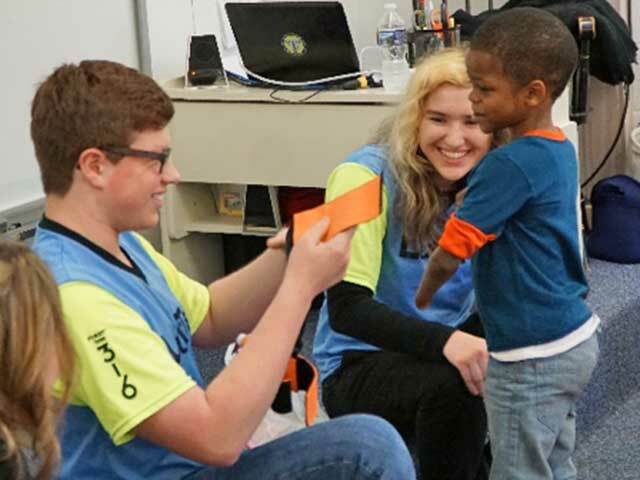 Staff member Linda Champagne of Tatnall School in Wilmington, DE, shared the challenge and wish of this student at Tatnall reaching out to the LuNaTeCs for help. South Jersey Robotics team 316 students -Jared Crane, Devon Hedges, and David Capaldo accepted this challenge. 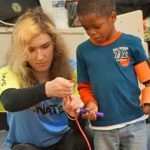 They designed, engineered and built an adaptive device enabling a child to jump rope with one hand. The device is adjustable contemplating growth and the rope itself can be switched. 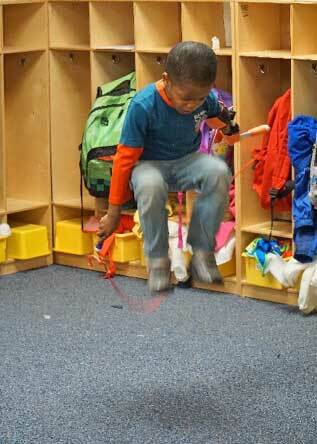 The LuNaTeCs presented the device and watched while this student lept into the air with the jump rope flying around him making his dreams come true.